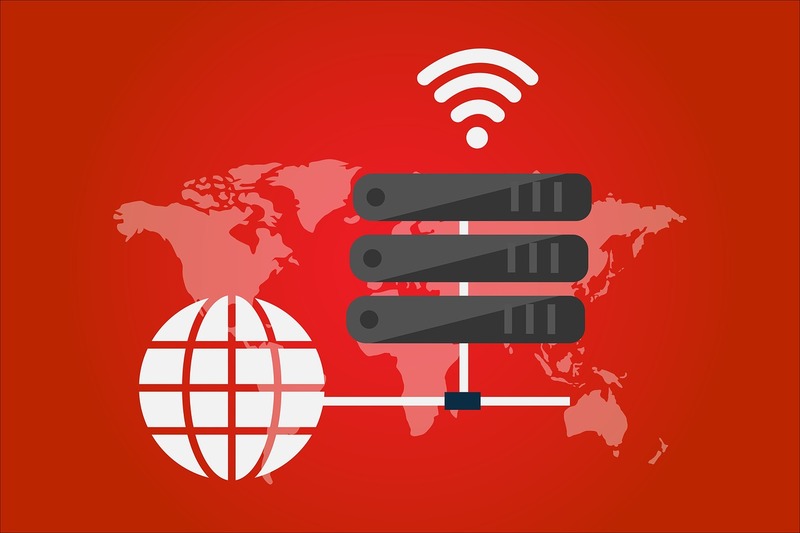 A proxy server serves as an application that acts as an intermediate between the internet and your computer. The Socks proxy is known as in 2 versions. They are the SOCKS4 and SOCKS5. Socks4 supports TCP protocol only, and socks5 supports TCP / UDP protocol, also supports various authentication mechanisms and other protocols. The standard port is 1080. For SOCKS5 proxy support both UDP and TCP, so the socks5 can be used on multiple applications such as Email clients, p2p torrents file download, Skype and online gaming clients, and that is the most different with the HTTP(s) which only support HTTP requests to surf websites. Now Instagram becomes one of the best Traffic sources for the mobile! So lots of Instagram bots coming to the market, we discussed the Instagram bots before, And it does not easy to hand Multiple IG accounts for the beginner, For the IG bots must be used with fresh proxies and Set up those Bots are really taking time! To help some guys who do not want to take time to set up the IG automation by yourself, Here we recommend you use the Instagram Growth Services that are still working in 2019! Instagress was one of the most used and famous Instagram growth services on the internet. But Unfortunately, it was shut down a while ago for Instagram restricted their API to Instagress, We all know that IG always fights with those automation services and tools! It’s should not strange! Not just Instagress, Mass Planner, Instaplus and more has shut down for breaking Instagram’s TOS. Instagram marketers everywhere are crying out loud and are looking for different Instagram growth alternatives on Dr. Google. So I thought it would be wise to lay out some of the other options for Instagress. If you loved Instagress, you’d like these as well. 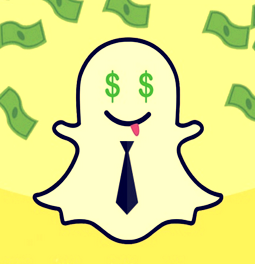 So here is the list of Top 10 Alternatives of Instagress that you should use. Promotion and business online….! Favorite social media platforms have already turned to best stages for businesses, marketers, artists, celebrities and almost all type of service providers for the purpose. No presence in social media means you miss reasonable volume of your business from your customers who love to see you online. You should know that instagram only allow maximum 5 accounts at one PC or one Phone, so how do you creat more accounts? It is so crazy that most of the business needs presence on multiple social media platforms like Marketing on Twitter, Pinterest, Instagram and TumbIr. Likes, Tweets, Shares and Posts….! These are today’s marketing mantras. Yes, number of followers, tweets, shares, posts and likes impresses online customers to great instant to go for products and services. Users use these platforms to promote themselves, their business, products, share information, generate leads, attracting new customers, generating traffic and more. All actions centers round one single and ultimate goal; to make business…! 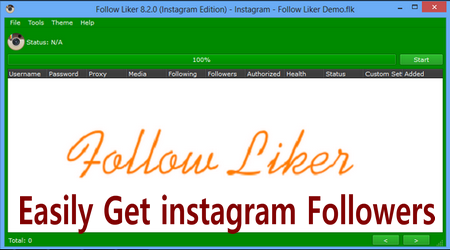 Here is a Tutorial about “How to Setp your Instagram Proxies on FollowLiker “. Some of the important things you can do with Follow Liker include twitter to Follow and unfollow users, Post and reply tweets, Retweet, Send messages, Instagram to Share & comment on photos, like & unlike photos, Tweet, User & photo search, Share,Pinterest to like & unlike pins, Repin, Comment pin and more and more. Before answering the question, it will be better to know what happens when your finger falls on ‘Send’ or ‘Enter’ button. This communication first passes through a proxy server before reaching its destination. Proxies are agents to process the internet requests made by the users. It acts between the mother computer and rest of the servers and computers connected with the internet. When you place request, it is send to proxy or proxy server and it returns the information what you really need. They are used for several reasons like filtering content, downloads and uploads and more. ScrapeBox is considered one of the greatest tools in internet marketing because it can accomplish a lot of tasks at once and finish them in a short period of time. I could do a lot of things with it like: scraping and harvesting URLs, doing research and watching out for competitors, doing product research, as well as mass blogging. But in using ScrapeBox, I have to use ScrapeBox Proxies to maximize the functions and speed of my ScrapeBox. For those who are not familiar with ScrapeBox, it was originally designed for mass blogging. But the outcome is even better than the original plan. It became an indispensable tool for internet marketers for it is very versatile and covers a wide scope.It may be a single tool, but it could do a lot of things that internet marketers need to do. It is regularly updated and, above all, it never crashes. Furthermore, you only have to pay for it once, unlike its other counterparts where you have to pay for monthly subscriptions for continuous usage of their tools and services. 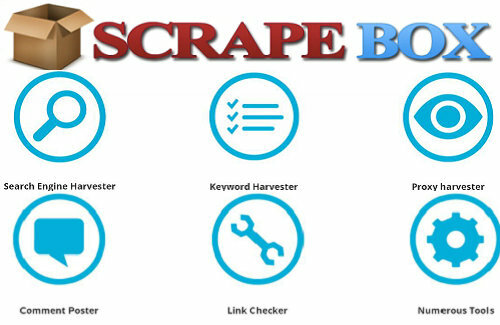 ScrapeBox is easy to use as I learn more about its functions, like checking if the backlinks are indexed or simply scraping for Proxies, I begin to appreciate it more for its convenience and versatility. Technically, scraping and harvesting are not allowed by the search engines and if the search engines find out that lots of information is being processed or requested using a single IP address, the search engine automatically bans the IP address and puts it in the banned list. This poses a problem in internet marketing because I won’t be able to monitor my competitors, I won’t be able to perform forum profiling and mass blogging for product research and advertisement. Furthermore, if the home IP address is banned, I won’t be able to link forums which could slow down my scraping. However, by using ScrapeBox Proxies, this problem is solved because it distributes the workload to different proxies that prevent overloading of the home proxy. Because of this, the search engines won’t notice that my IP address is already scraping, plus it enables my ScrapeBox to work faster because there are many ScrapeBox Proxies in the works instead of only one. ScrapeBox programmers have installed one of the best proxy scrapers into the main GUI, but the proxies it scrapes fail pretty quickly and are slow. So that’s why I pay for and use ScrapeBox Proxies that I get from Squid Proxies for my marketing strategy. I can comment on hundreds of blogs without being noticed by the search engines, thus protecting my home IP address from being banned. ScrapeBox is definitely something that internet marketers should have. No matter what their marketing style or strategy is, they should have ScrapeBox with ScrapeBox Proxies to expedite their work and reach more prospective clients to increase their income and profit. So to get the maximum effect out of ScrapeBox, head over to Squid Proxies and get yourself some shared or private ScrapeBox Proxies and speed up your Internet Marketing! If you have heard of Finishline and its great products, but cannot use it, then it’s time that you take action. Finishline may be blocked in your country, but will that stop you from buying athletic shoes from it? If your answer is No, then how can you buy it without getting access to the site? Simple, use Proxies for Finishline! 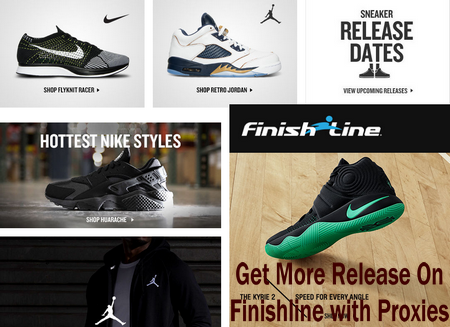 With them you can bypass the internet censorship and enjoy buying shoes and other sports accessories from Finishline. It’s just not that this site is block at your country. There may be various other reasons that you cannot get access to the site. Before you search for proxies, you can try out another method to check whether you are able to get access to the site or not. You can restart your router or modem to check if there is any connection problem. 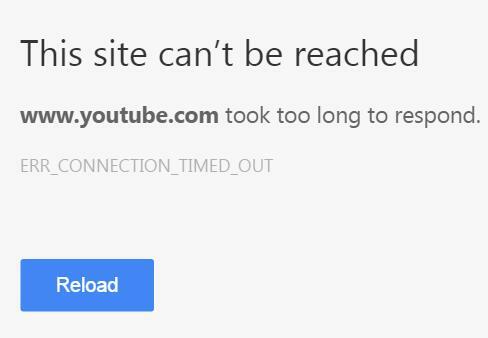 Sometimes, internet connectivity becomes slow and for that you cannot access the site. Apart from this you can also restart your computer and see if it works. Even after trying all these you find that still you are not able to get access to Finishline then there is no other way than using Proxies. They will enable you to get access to the site and then buy whatever you want. It’s hot to talk about the proxies for Netflix Shutting Down VPN and Proxies,But the proxies not just for bypassing firewall. Now lots of internet marketer use the proxies for getting cheap Nike, adidas Shoes and Sneakers on foot sites like Finishline, Footlocker.With the help of Proxies,you can easily unblock the restrict purchase quantity on the Finishline, You can find the top proxies for Sneakers and Shopping. When you use proxies to access any sites it’s important that you have protected your own IP. Thus, check for the following features before you use proxies. The proxies that will be used by you should be anonymous. It should never unhide your IP and protect it completely. Also, ensure that no HTTP headers are sent that can reveal your location or IP. However, you should always remember to clean the cookies after you use the proxies. Know about the activation period that the proxy service provider will take. Generally, any good proxy service provider will activate it instantly so that you do not have to wait for ages after you make payment. The proxies should be dedicated meaning that it should be used only by you. There should not be multiple users using these proxies. This will ensure that when you use them you can get lightning speed. The most important thing to check is the support that you get from the service provider. They should be able to give 24×7 supports. If you do not get help when you require it most, you cannot claim that that service provider is great. Also check about their replacement policies. This is required because sometime your proxies may be detected and banned. Under such situation you need to replace the proxies. Thus, ask the service provider about their replacement policy before you make any final payment. Thus, if you want to get access to Finishline, stop thinking and buy proxies that will let you enjoy the online store. What happened? Have your requests ended with BAM! Errors are being scattered over left, right, top, bottom and center of your screen. Then it is nothing but your targeted site blocked your request. Are you scratching the head for solutions? 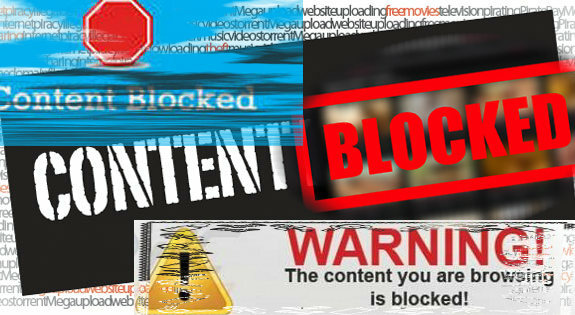 It is all because of the fact that your IP is blocked by the particular website. For bypassing this censorship you have to find the proxy server or VPN, and The solution is to use Private Proxy and VPN service. This is the reason why most of the internet hunters and web scrappers love to conceal their actual identity or what called IP. And it is for this purpose both VPN and private proxies are being used. In simple word the purpose is to spoof certain geo-locations to get access to several websites without any blocks. It is only for example that you can watch geo-locked TV streaming websites originated from other countries without any blocks when your use VPN or private proxies. Both VPN and private proxies enjoy good demand in online market. There are also public proxies that come at free of cost. But professionals always depend on private proxies for its benefits. Everyone is interested to know the benefits of private proxies when compared with VPN. This article clearly and simply tells you the reasons. Speed, cost and IP banning are the important factors that make the best IP protector for you. Private proxies enjoy better position when compared to VPN in this regards. Private proxies work much faster when compared to VPN. They never tend to encrypt all the information passed through it. With caching properties private proxies gives fast and easy access for several persons to single website. Private proxies basically reduce the fetching time of websites. On the other hand VPN goes slow in peak times and make you wait for the websites to get opened. The other reasons why speed of Proxy vs VPN is the proxy win, is the VPN service mainly use those tpye of VPN protocols – PPTP,SSTP,L2TP/IPsec, and OpenVPN, than means the Data is Encrypted that’s good for information security but the sophisticated encrypted rules really reduce the speed of VPN. Cost is another important factor that takes private proxies above VPN. VPN are more expensive when compared to proxies. Reputed providers provide you with private proxies at affordable rates. When VPN and Proxies does the same job, it is certainly good to get the job done at low cost. So go for private proxies. Protecting the IP from getting banned is equally important as hiding the actual IP. Even though VPN has lot of bandwidth it runs on single IP address. There is no doubt it hides your IP and shows its IP to give access to several websites. But still there lies the problem. When you run all of your software and requests through this single IP, chances are lot to get that IP banned in hurry. To prevent this, the only best idea is to use private proxies even though your software runs on VPN or dedicated machine in your home. Private proxies make the enquiries and requests to look like that it come from multiple locations to protect the IP from getting banned. Now you better know the benefits of private proxies when compared with VPN. If you give importance to speed and value to hard earned money, then there is no doubt you will get private proxies.